I have a bunch of great trips upcoming. For more information on where I’ll be, check out my tour page. Today I want to highlight one visit that I’m especially excited to make: Kennesaw State in Georgia. In 2009, I visited Kennesaw with Laurie Halse Anderson and Ned Vizzini. 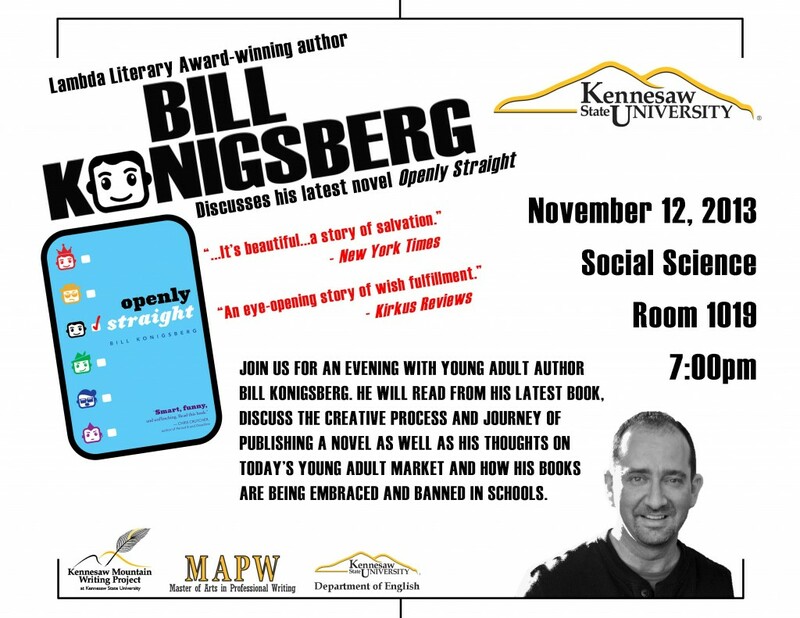 This time, I’ll be making the trip alone, and as Kennesaw is home to one of the absolute best English Education programs, one that focuses heavily on young adult literature, I couldn’t be more pleased. For more information, check out the Kennesaw Mountain Writing Project site. Here’s the flyer. If you’re in the vicinity, see about coming to the reading on Tuesday night. I hope to see you there!